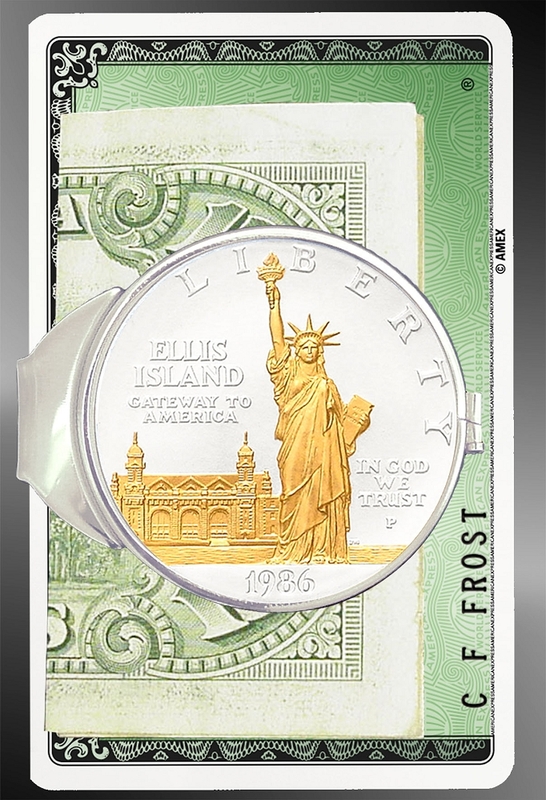 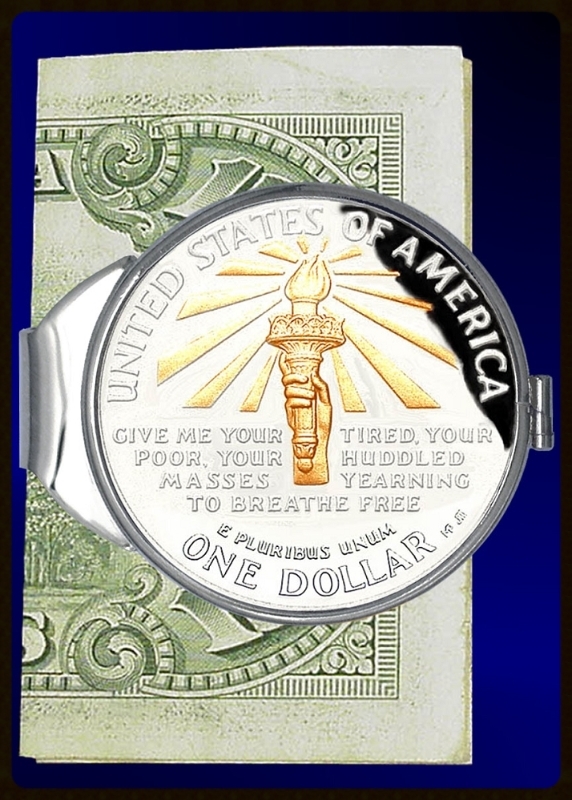 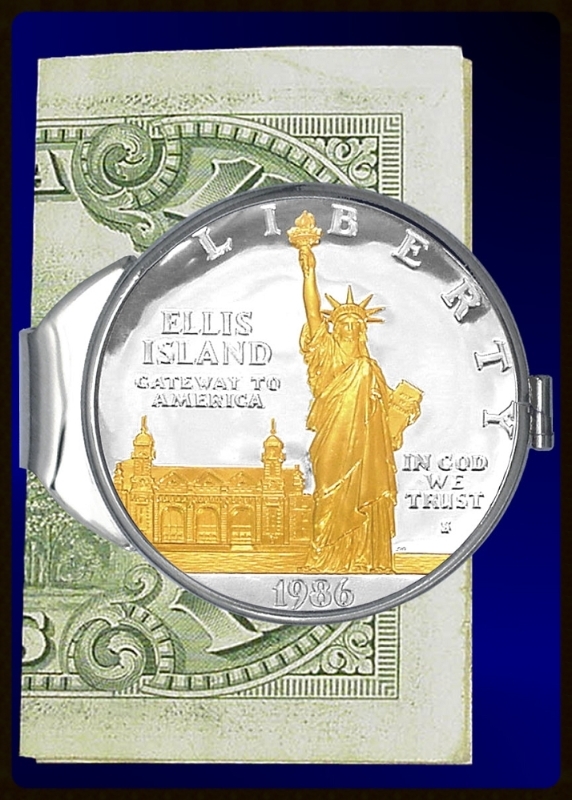 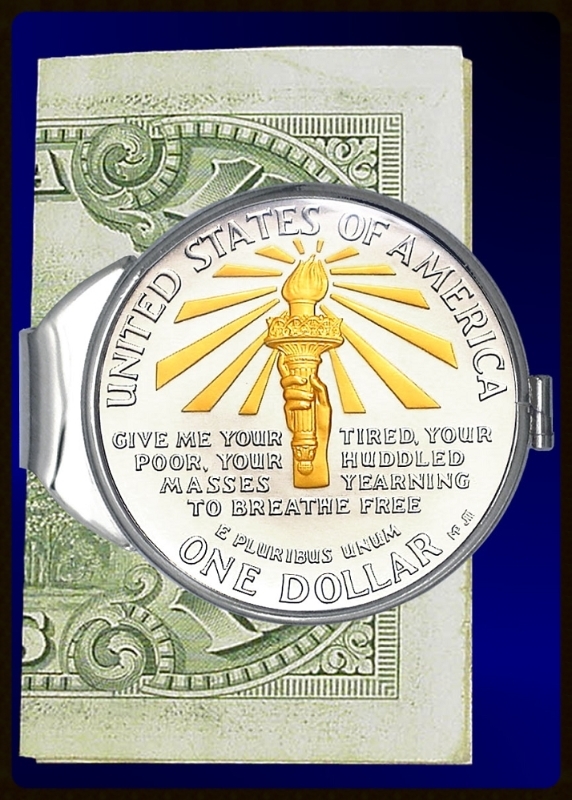 The Statue of Liberty and Ellis Island as the "Gateway to America" are commemorated in this stunning mirror-bright U.S. silver dollar. 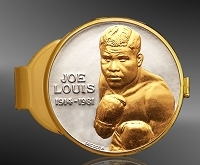 The coin is exquisitely higlighted with pure gold accents and protected for a lifetime with Aurista's exclusive LensCote. 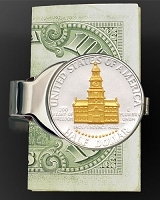 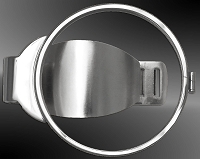 Mounted in a nickel-plated version of our spring-action money clip that will firmly hold even a single bill.